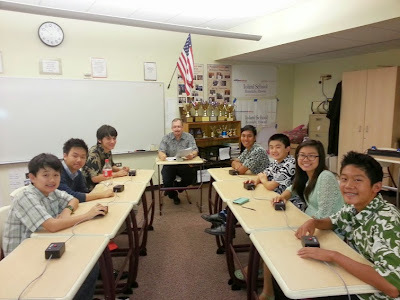 National History Bee and Bowl: 2017 Oahu Fall History Bee and Bowl will be held at Iolani School in Honolulu, HI on Saturday, October 14. The National History Bee and Bowl is pleased to announce that its 2017 Oahu Fall History Bee and Bowl will be held at Iolani School in Honolulu, HI on Saturday, October 14. This tournament will be held on our C Set of questions. It does not require prior qualification, and is open to all teams and students, including from outside Hawaii, as long as they have not yet played C Set. For further information, please contact the Tournament Coordinator, David Madden, at director@historybowl.com. Thanks, and we look forward to welcoming you and your team to Iolani in October! Note: During the lunch break, we will offer the National Qualifying Exams for the US Geography Olympiad / International Geography Bee (one exam serves to qualify students for the National Championships of both competitions) and the US History Bee. Both exams cost $10 and can be signed up for on the day of the tournament; pre-registration is not required. Students planning on taking one exam are recommended not to leave during the lunch break (they can bring a lunch or have a teammate get lunch for them). Students planning on taking both exams should definitely plan on staying at the school for lunch.